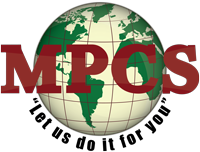 MY Personal Concierge Services Ltd (MPCS)will conserve you valuable time by handling all of your legal solutions. We provide high quality service. In addition we offer other services such as: court filings, professional legal research, professional legal advice, drafting legal and professional documents, notary service, sourcing the proper attorney who can assist with your legal troubles; so as to ensure quality and professionalism in the approach to your legal service needs. We are capable of arranging legal services locally or internationally with our certified attorneys; who are well equipped in the handling and preparation of legal documents. We also provide onsite photocopying services using state of the art scanning and printing equipment, and can provide your copies on paper, CD or via email. We understand that legal process resides in an urgent, fast paced environment; thus, we have conditioned our management and processing mentality to anticipate and deliver exceptional solutions and services.